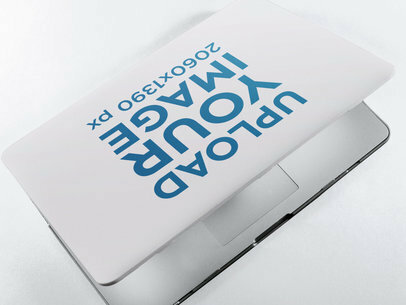 Check out this mockup of a laptop cover lying on a solid color surface, it's on a semi-open MacBook. Start using this beautiful image to display your best-selling designs to your audience! All you have to do is change the background color with the menu on the left, then use the button on the left to upload your design. Easy, right? 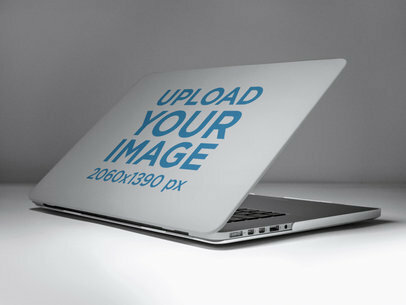 Try another Laptop Cover Mockup here! 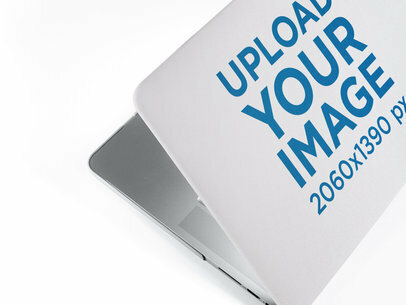 Promote your latest design on a laptop cover with this mockup from Placeit! It's a beautiful visual asset, all you have to do is choose a background color with the HEX tool on the right side, and upload your image with the button on the left side. The result is amazing, right? It's really easy, start now and make your income grow! 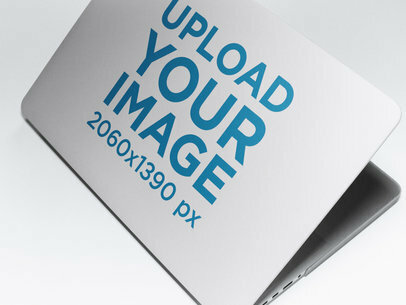 Try another Printed Mockup here!